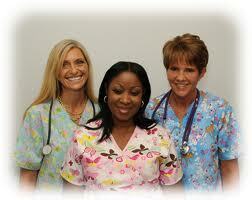 Our clients have come to trust Marsha's HomeCare as their primary source for quality medical staffing. They rely on our expertise, dependability and speed at ensuring that the right candidate is placed at their facility or home, at the right time. Our relationship is based on direct communication with you in regards to care and comfort. Our skilled staff are able to assess each clients medical needs, and assure that those needs are met on a continual basis. It is comforting to know that you can have both the loving support of your family and the caring dedication of ours. To provide personalized health care and services that will improve the quality of life of every client.